TPPH series Translating Pedestal Post holders have a stainless steel pedestal foot of 5 mm thickness. 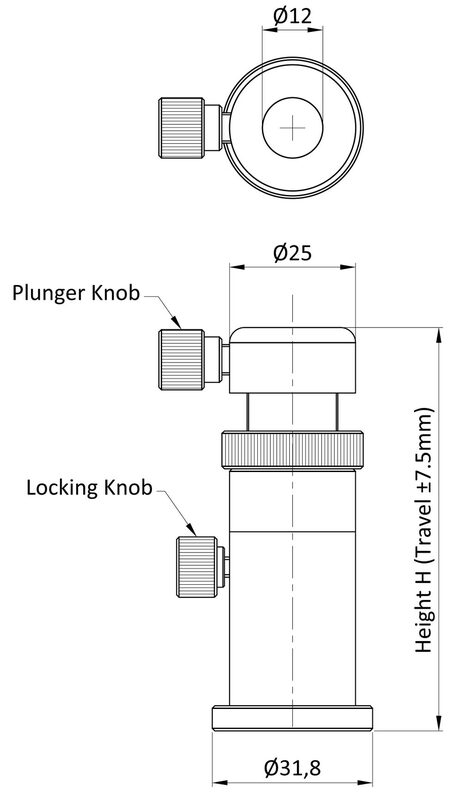 One spring loaded plunger knob (model: PGK-20) is fixed with every Translating Pedestal post holder. Translating Pedestal post holders are made in aluminium alloy and given black anodized finish.